In the middle of March, Heidelberger Druckmaschinen AG (Heidelberg) and MK Masterwork (MK) presented the new Diana Go folder gluer for the growing packaging market at an open house event in MK’s European factory in Nové Město, Slovakia. 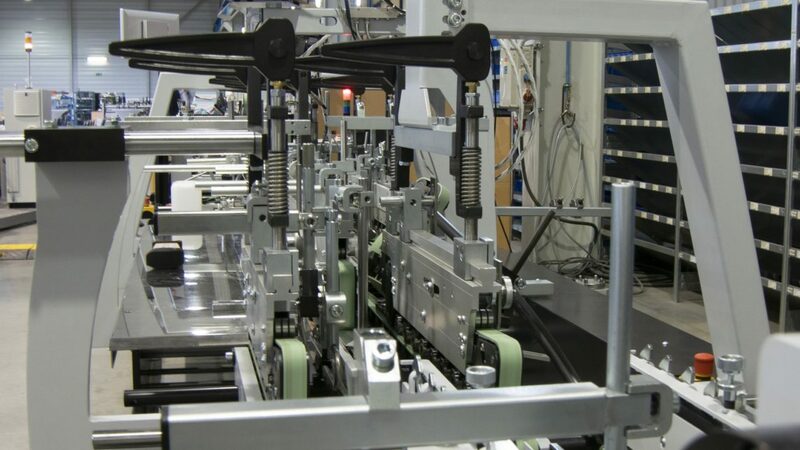 Among the European packaging printers taking part were representatives from the companies that have already signed the first contracts for three serial production machines. The tour of Production and Assembly in Nové Město as well as the presentation of the Diana Go confirmed to the companies once again that their faith in MK and Heidelberg to deliver a machine that lives up to their expectations will be fully satisfied. The Diana Go was developed on the basis of Heidelberg’s market requirements by the MK development team in Neuss, Germany, and offers both commercial and packaging printers a cost-effective, flexible, and productive entry-level machine with a comparatively small footprint. It can run a wide range of carton styles such as straightline and lockbottom as well as optionally special styles such as envelopes or CD covers. The Diana Go is able to hit a top speed of 250 m/min in a machine just over 9 meters long. The optionally integrated glue, inspection, and ejector systems ensure high production quality. Designed for customers needing higher productivity and the ability to offer an expanded portfolio of products to their clients, the Diana Go is attractively priced to ensure a high return on investment in a very competitive market. As a result of technology transfer, the Diana Go has many design features present in the high-performance folder gluers of the Diana series to ensure reliable performance and peace of mind. Group around Terje Haglund acquires location in Bergisch Gladbach with new "Zanders-Paper GmbH"